The boys are back… kinda. These are not the characters we knew, but there’s no way the could be after what they’ve been through. 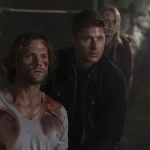 The story picks up a year after the events of “Swan Song” and the time has changed both Dean and Sam. It’s a noticeable shift in tone and I see that both because of where the story has to go from here and the fact that Sera Gamble has taken over as show-runner. She’s setting up a new story arc and this episode had to lay that groundwork. Did it succeed in doing so? Well, let’s look. This season-opener was titled “Exile on Main St.” and that’s basically what Dean has done. He’s been exiled from his old life and is trying to maintain this “normal” existence because he promised Sam. The opening montage of showing the life Dean currently has and the flashbacks to the life he used to have breaks my heart every time. Dean was broken after he lost Sam, emotionally and physically. Lisa was there to pick up the pieces and deal with a man who has multiple problems and is suffering from his traumatic experiences on a daily basis. He drinks too much, he has nightmares, he’s trying his best to find a place because he doesn’t have one anymore. He was once a hunter, the protector of his little brother Sammy, but that identity is gone and in its place is a man who has become a boyfriend, an adoptive father, and a working member of society. 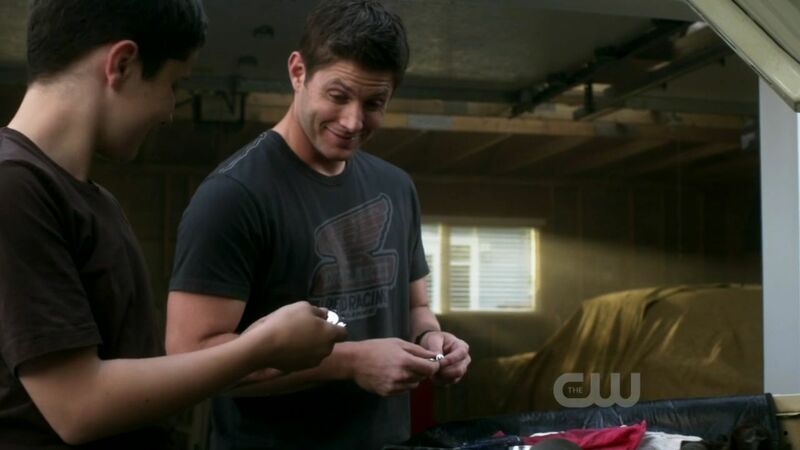 Dean needs these familial ties, this purpose in his life, because it what defines him. We soon learn that, despite what Dean may think, Sam’s not dead. The audience found that out in the finale last year, but it took Dean a year to be privy to the knowledge. Sam would have been just as happy leaving him out of the loop even now, if not for the fact that the supernatural threat came after Dean directly. And the Sam that we see, the brother that is miraculously out of the cage and has apparently been out a long time, is not the Sam we knew. He’s got PTSD and he’s shut down completely. The hug that he and Dean share when they finally meet was one-sided. Dean is laying his heart out, emotionally conflicted because he has his brother back and he just wants to hold on. Sam, on the other hand, has none of those emotions. He has very little emotion whatsoever. Sam’s a different person; no longer willing to pour his heart out and work through all of his feelings by talking it to death. He was in Hell, he got out, the end. And if that weren’t enough to rock Dean’s already fragile mental state, meet the Campbell cousins who are led by long-dead Grandpa Samuel Campbell. I love that Supernatural has always been about family, at the heart of it, and that it’s been established that the Campbell family has a tradition of hunting all the way back to the Mayflower. However, I don’t trust any of their long-lost relatives, especially Grandpa. Something pulled him down from Heaven at the same time as it pulled Sam up, at least that’s the story they’re telling, but I feel like Grandpa came back wrong. I don’t know if it’s because he’s become more hardened now, or that he’s really evil, but something is not right. Why did they take the djinn and want to sneak out while the boys were none the wiser? 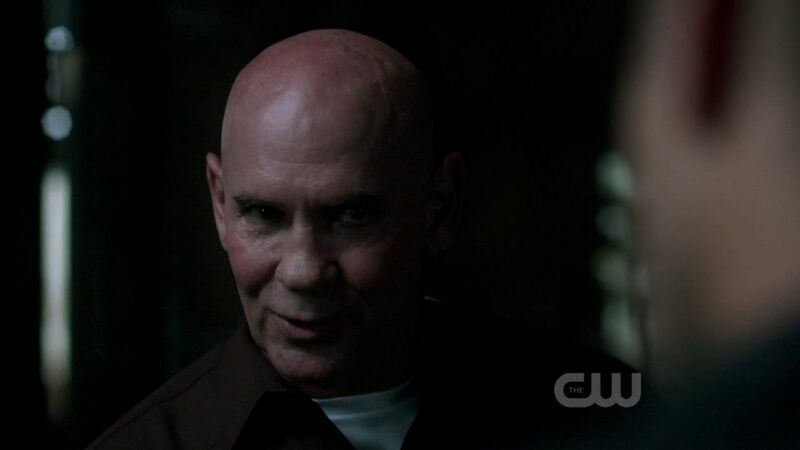 Perhaps to torture it, perhaps because they’ve clearly drawn the lines between good and bad, as Dean used to and Gordon Walker always did, but whatever the reason that we may or may not find out, it’s not good. And the fact that the Campbell bloodline is the Lucifer bloodline is not lost on me. They can’t be trusted, not until they prove themselves beyond a shadow of a doubt, and even then I probably won’t ever trust them. This is a difficult episode because the fans’ expectations are going to be very high and it’s hard to live up to them. Many times I felt that the storyline was disjointed and there was much more telling than showing. It wasn’t as action-packed as former episodes, but it was more about giving you as much information as possible to lay the groundwork for this new arc. The audience has to understand that Dean and Sam are not the same characters, not really. 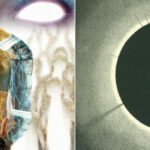 They’ve changed, they’ve grown, and they’re working through some serious issues. They’ve also reversed and reset their places from Season One. 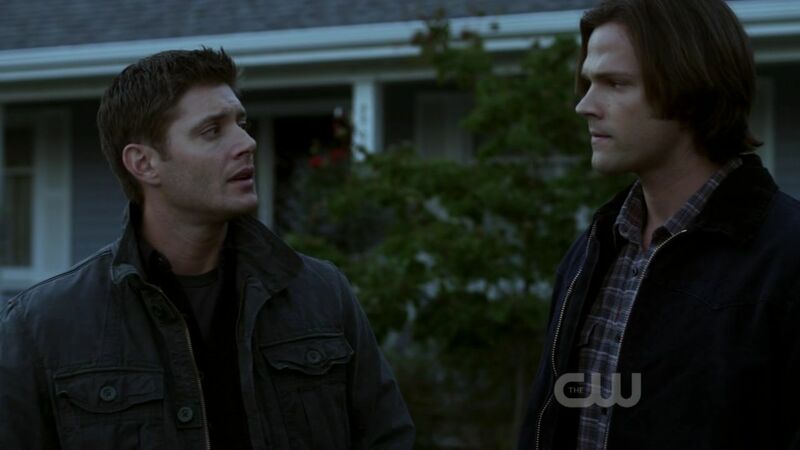 Now it’s Dean who is trying to have the normal life and Sam who is trying to pull him back to the hunt. At times I was very frustrated with the way Sam was acting towards Dean because he’s the reason Dean’s trying to be normal in the first place. 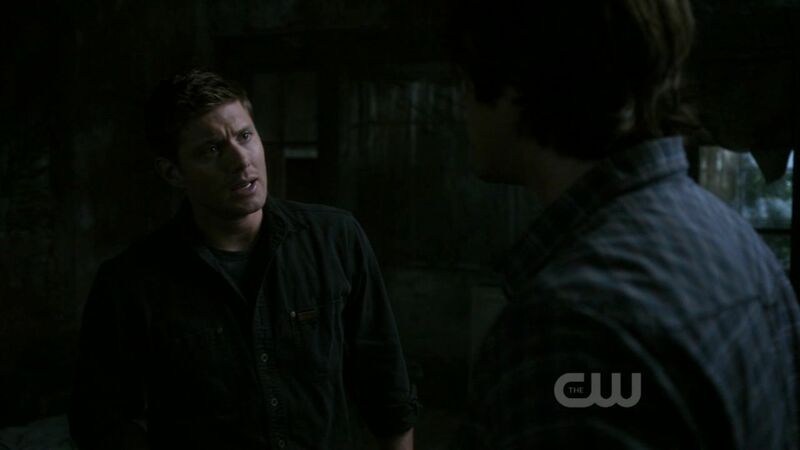 And now that Sam believes that Dean can never achieve that, not really, the man’s supposed to just turn his back on Lisa and Ben and a year’s worth of life-building to go out and hunt monsters with his brother? Yes, I would like nothing more than to have Sam and Dean in the Impala, hitting the roads and going back to basics with hunts and monsters of the week, but we’re not there yet. 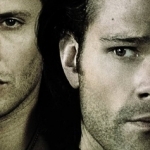 Dean has a responsibility to his adopted family and Sam has issues he needs to deal with. We’ll get there eventually, but just not right now. Sera Gamble has her work cut out for her, no doubt about it, but I trust her. She knows these characters and she knows what the fans want, but moreso what they need. It may not have been the strongest season-opener to the show, but I feel like every instance where the characters felt “off” was a purposeful choice that will be revealed in time. Just be patient and the revelation will come. Awesome review! I love your description of Sam! I’ve read a lot of people’s theories about what’s going on with Sam, and I have to say that I like yours best. 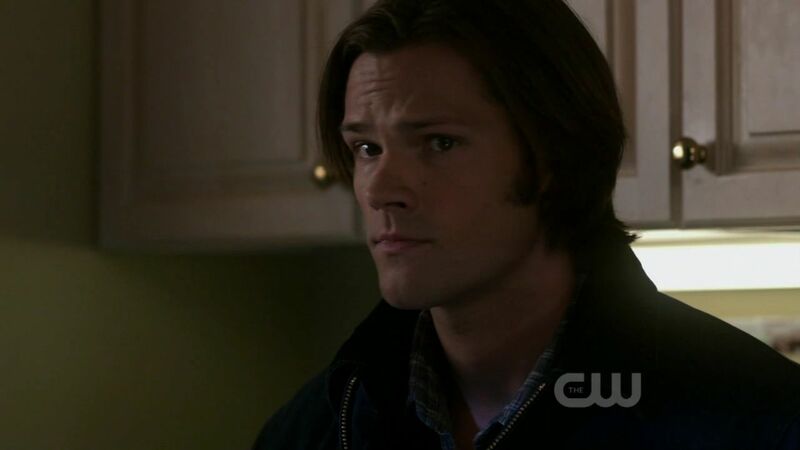 I don’t think he’s a shapeshifter, or that Lucifer still has ahold of him….I think he’s shut down so completely, that its going to take a lot of time before we get our old Sammy back–if we ever do. I am looking forward to a wonderful Dean & Sam scene when that wall comes down too. I’ll be looking forward to your reviews each week! 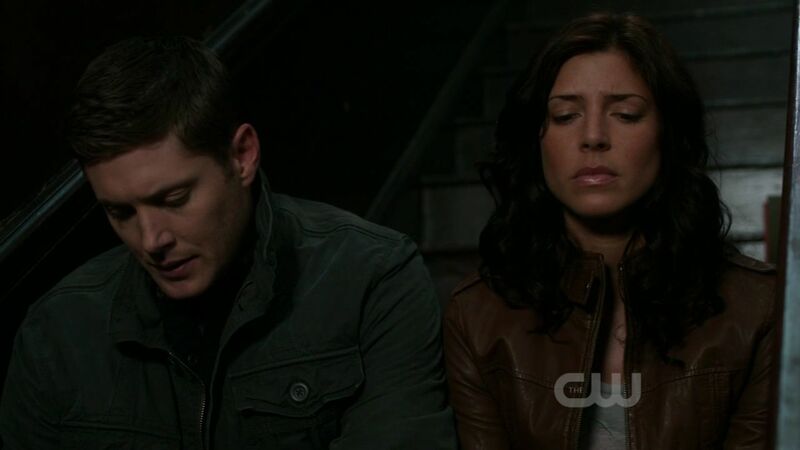 When I was rewatching it, seeing the montage, I started getting extremely sad because that Sammy of old is gone. I hope we can get him back in some form, but for now, he’s shut down and he’s checked out.